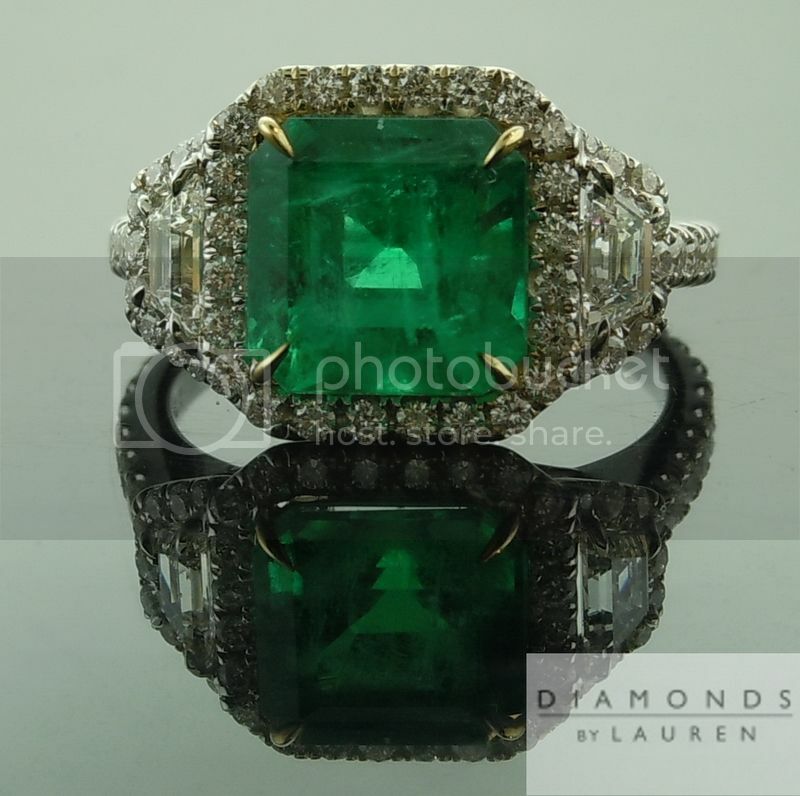 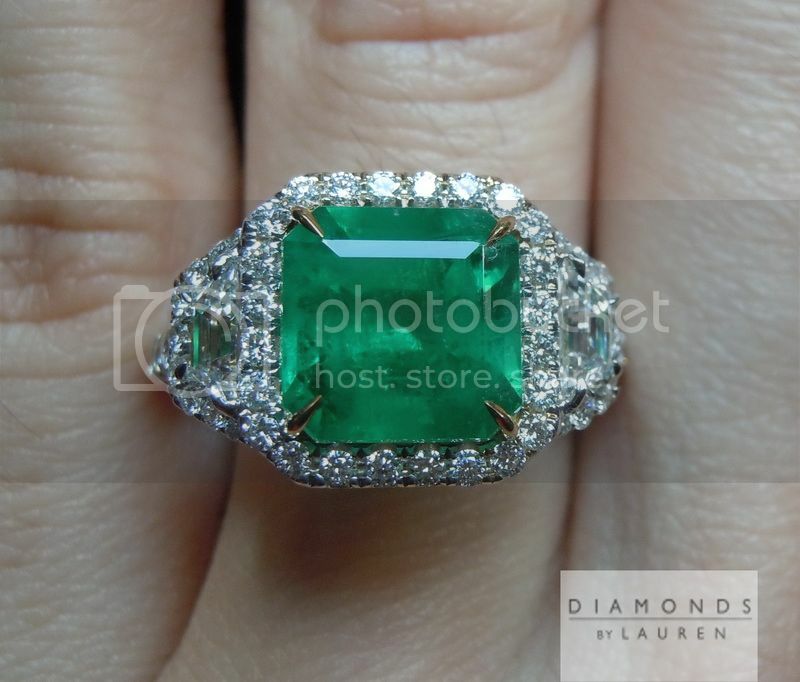 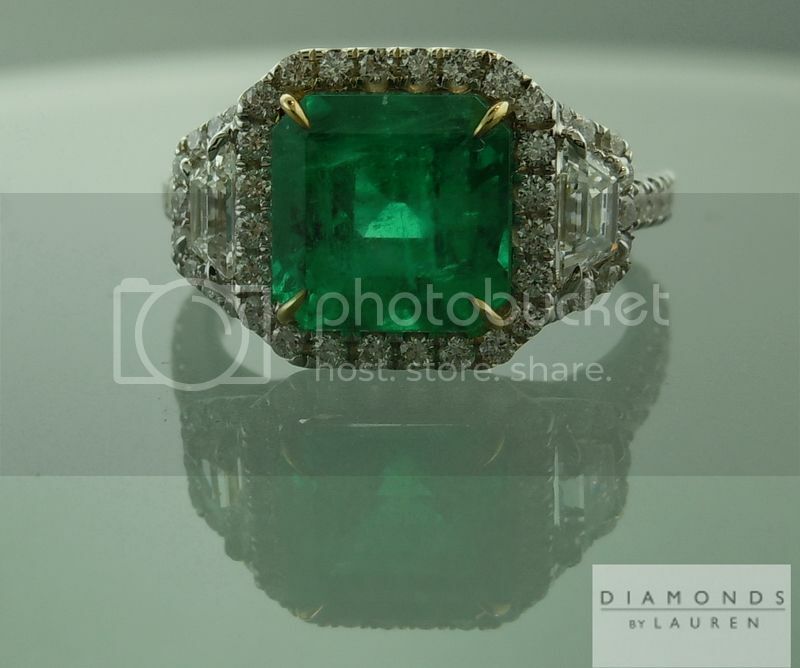 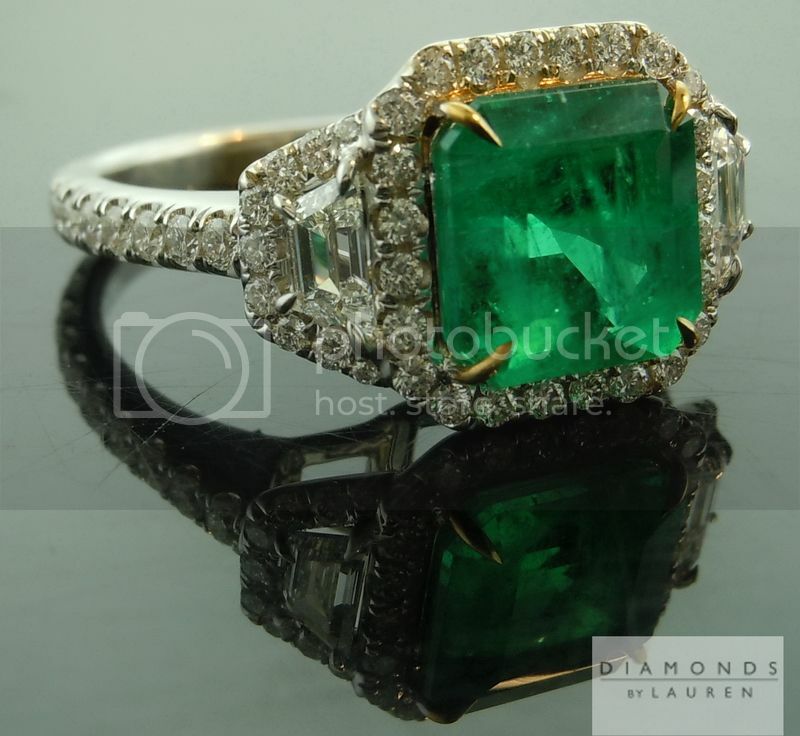 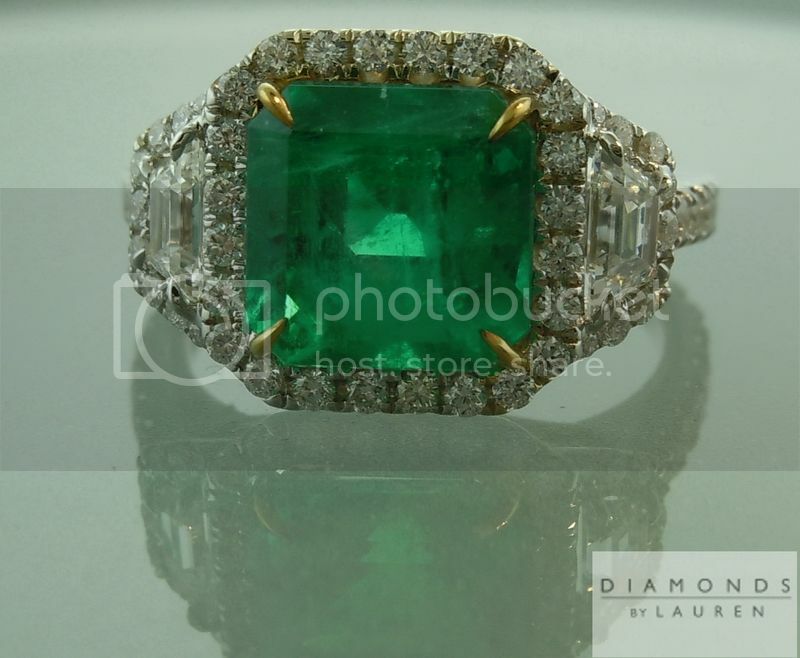 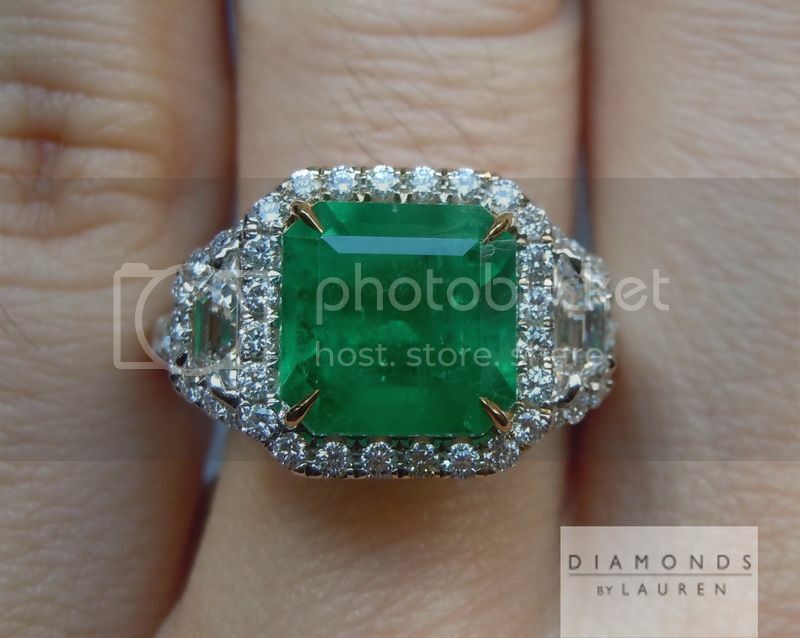 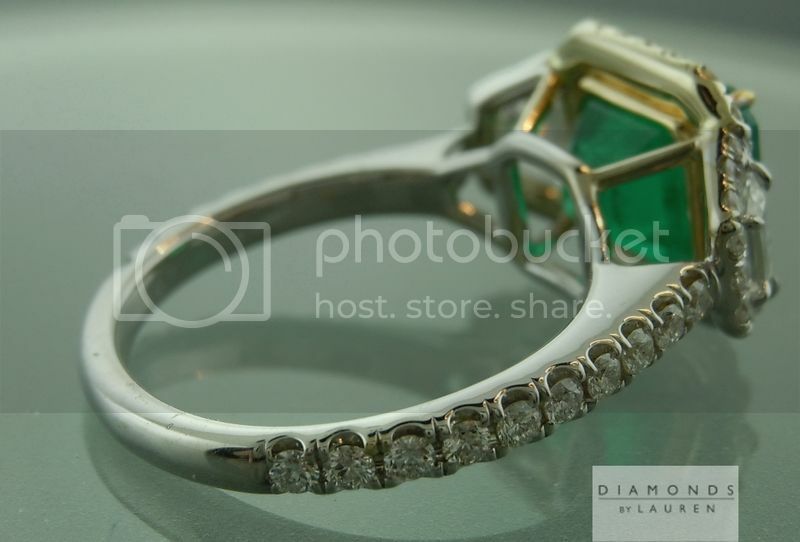 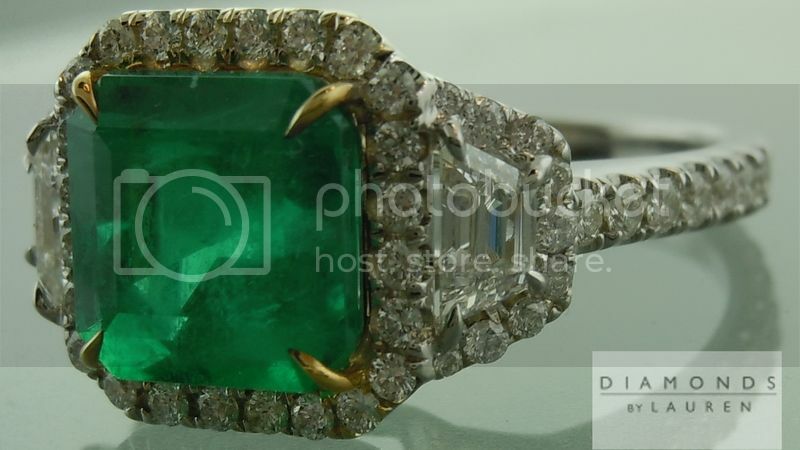 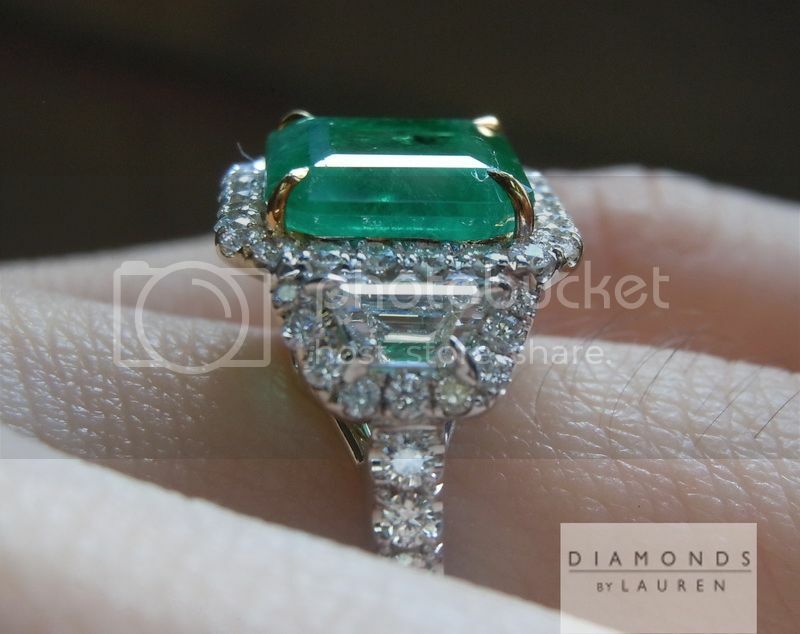 A stunning African Emerald is center stage on this lovely ring. 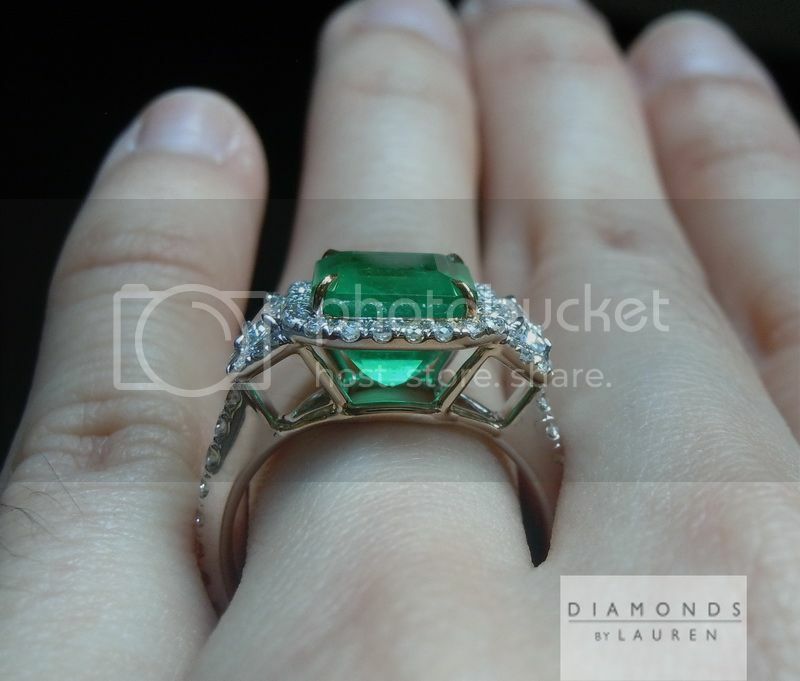 Set into a hand forged halo with trapezoidal diamonds on either side. 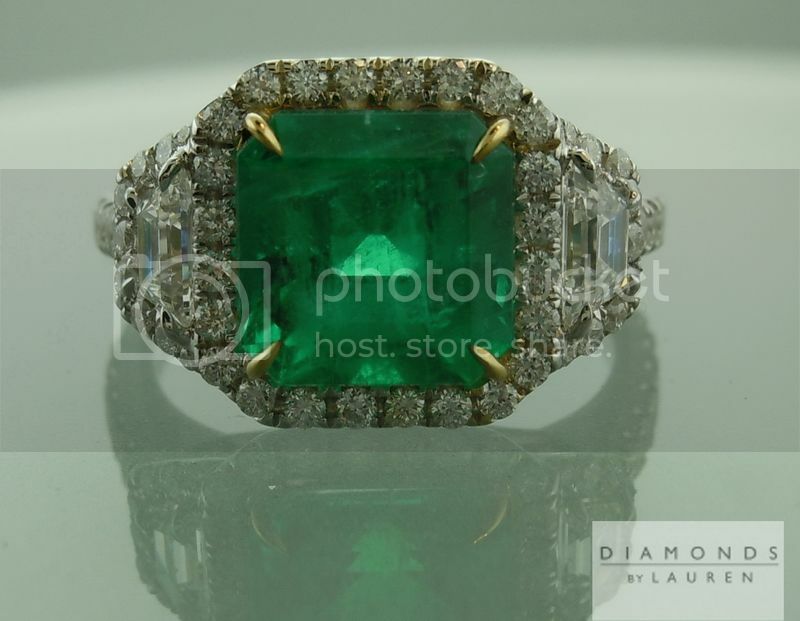 The emerald looks a very deep and lively green in person - quite diffuclt to capture in photos, but amazing to see in person.. 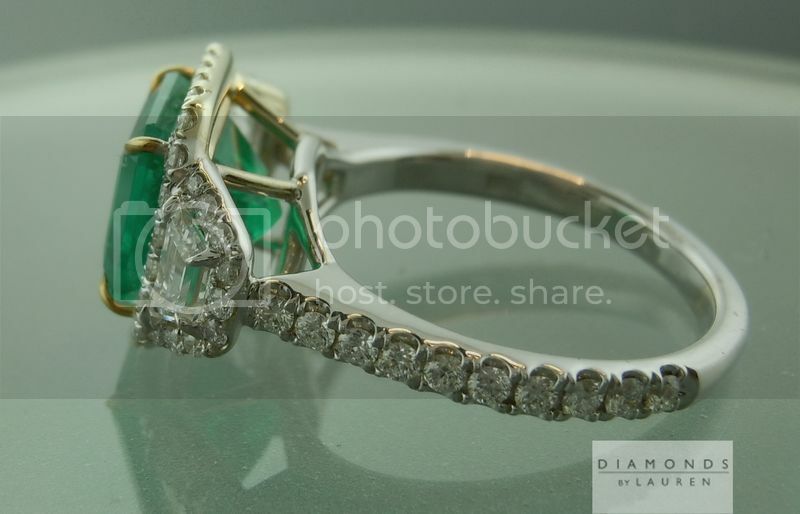 The photos above are ACTUAL Photos of the emearld and diamond ring you will receive.